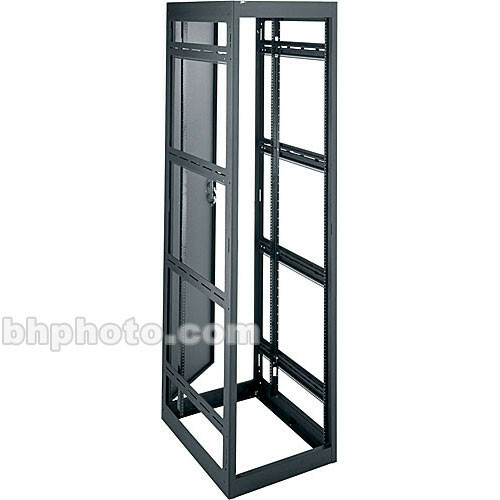 House your equipment with the Middle Atlantic MRK2431 19 x 29 x 42" 24SP Rack with Rear Doors. This rack securely and attractively holds your expensive equipment with fully welded construction, 14-gauge solid steel tops and bottoms, and 16-gauge solid steel sides. And the narrow design is good for large scale, multi-bay jobs. Box Dimensions (LxWxH) 54.0 x 36.0 x 27.0"